All My Love Crafts: Extra sparkle added to gifts this year! 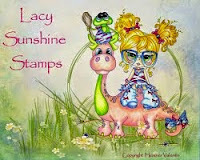 Add some sparkle is the newest challenge at Creative Craft Cottage! I was inspired to use this gorgeous image by our sponsor while putting together gift I'm taking home for Christmas this year. 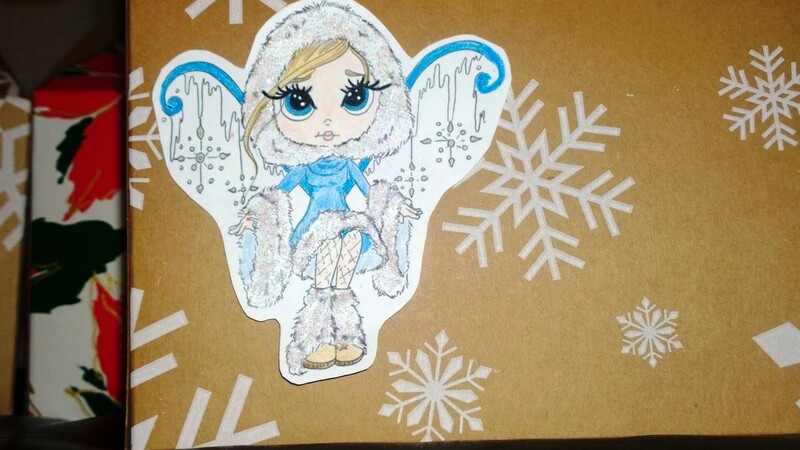 Lacy sunshine is this challenge's sponsor and this darling image is titled "Snow Bunny Ethereal Enchantress". She was colored in my favorite medium....Prismacolor Pencils of course! I used a white gelly roll pen to brighten the white spots in her eyes after coloring. 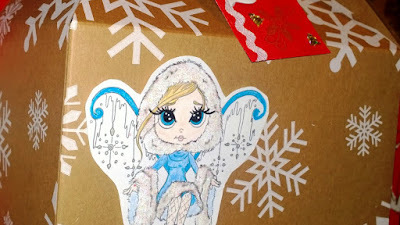 Her "faux fur trim" (because fairies would never wear real fur!) is filled in with Stardust Glitter Stickles. I wish the glitter would show better in the photos, but it's gorgeous in person! Link up your sparkly project by Dec 4th for a chance to win!